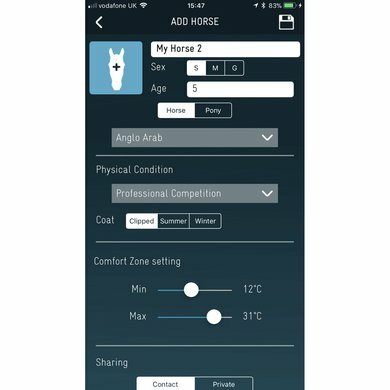 movements of your horse because the sensor can be attached to each blanket. 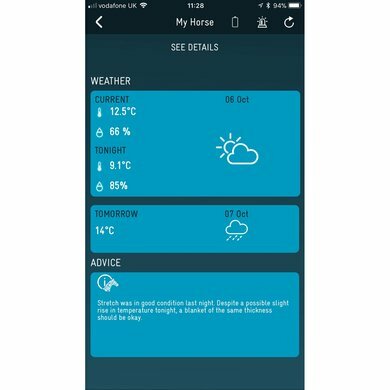 horse, the data from the previous night and the weather forecast is based on this advice. he has moved and is situated and whether he is stressed or calm. 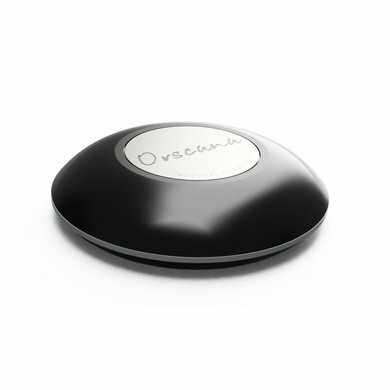 The battery lasts for about 6 months, which can be replaced when the battery runs out. 1. Place the pouch height of the hip cavity on the inside of the blanket. where you choke is decreasing as you go through the outer fabric with waterproof blankets. buttons and a bag with metal pin. 3. Insert the pin into the mounting hole and push the halves together. 4. Check that the security is securely fastened by lightly pulling on it. 5. 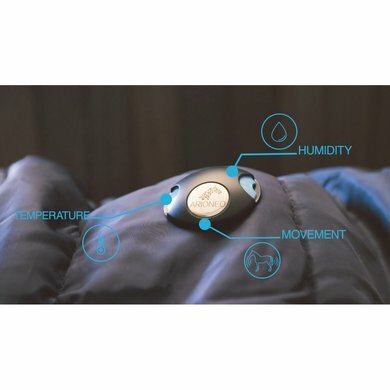 Place the sensor in the bag. 6. To remove the confirmation, press both blue buttons simultaneously. 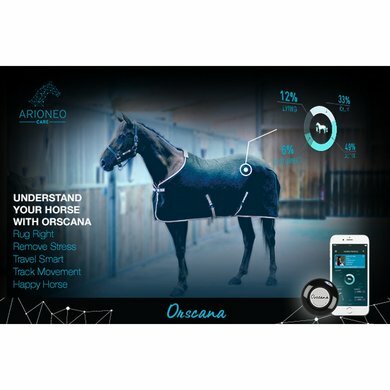 I have been using the Orscana for 3 days now and I think it works better now than Horseware Horsepal. 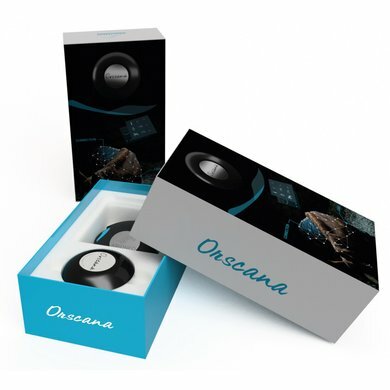 Orscana can simply be read more from because it also registers the movement and that gives more clarity in many cases. I am very satisfied with it so far and hope that he will last longer than the Horsepal. The only drawback is that he might be more annoying for a shet than for a horse. 4 stars because I have only recently used it. Certainly not regret this purchase. Indicates exactly all values. I bought this, among other things, to see if my horse was active and whether he ran a lot, for example. Everything can be seen. 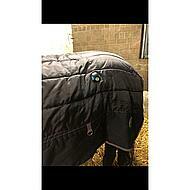 You really have to attach the bags to the blanket because the pin that comes with my horse was quickly lost. Sensor can find back. Very good concept! The execution is only less. The sensor sometimes goes off spontaneously, or stays on but gives unreliable information. 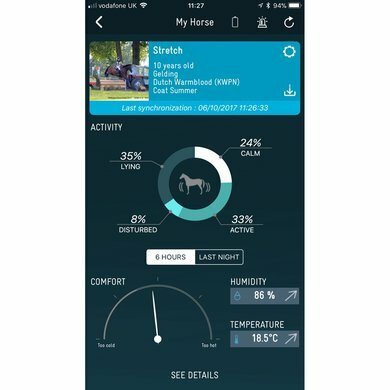 (indicates, for example, that my horse is 100% of the time, while a few hours ago she was brought from the barn to the paddock and has been eating since then) also making contact via bluetooth is not really easy, takes a long time and I have several attempts required (but can also be on my phone). 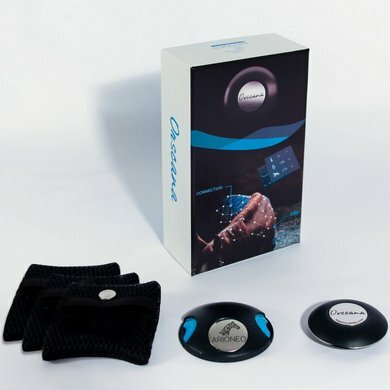 the fastening material is also not great, you should be able to fix the sensor with a click system. My horse always rolls when she comes in the paddock, then that pin went loose. Fortunately, she is not rolled into the peg. But that is now lost so I can no longer confirm him with the click system. That is all still manageable. What I really find disappointing is that the comfort zone is very spacious. (23 degrees difference) I had a question about that at Orscana. How do you realize that a certain race, gender and age is comfortable between 8 and 31 degrees. What is it based on? That is of course so incredibly spacious that you always sit well with that app. I can feel the difference of 23 degrees with my hand, I do not need an expensive sensor. 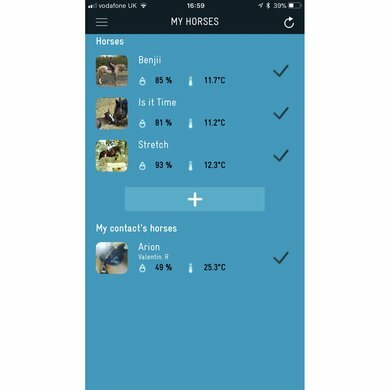 A small test on the sum: one night my horse put on a blanket of 200 grams and the next night a blanket of 500 grams (about the same outside temperature). With both blankets my horse fell into the 'comfortable' category and in both cases it was advised not to change anything to the blanket she had last night. I did not receive an answer to my question. Only that people are inclined to impose warm blankets. So on what scientific research these comfort zones of the horse are based, that has never become clear to me. Funny toy maybe, but I find it too expensive for that. You also do not know what you trust, since they can not tell whether they have done research on the temperature of horses. 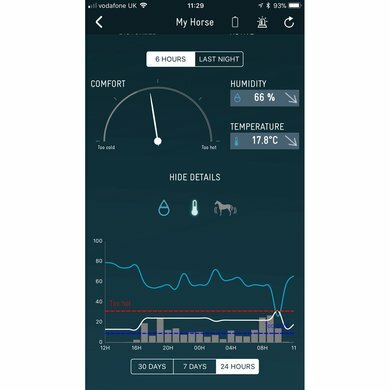 the sensor / app does not provide reliable information and user-friendliness is also not great. As far as I am concerned no recommendation. Answer: There is a CR2477 battery in the sensor.